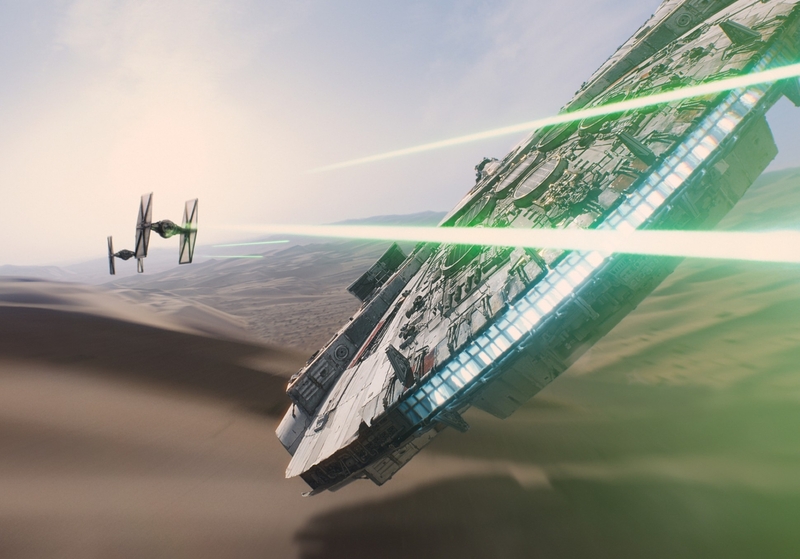 And the new trailer for "Star Wars: The Force Awakens"
In honor of the new Star Wars: The Force Awakens trailer, we thought it would be the perfect time to release some Star Wars tech trivia. Since 1977, George Lucas’ films have stolen the hearts of everyone. In fact, no suit of armor was ever created for the Clone Troopers in the prequels. Every Clone Trooper seen was computer animated. Well his home planet was represented anyways. A senator and his delegation from planet Brodo Asogi are in the chamber when Queen Amidala calls for the vote of no confidence. It was created by combining an elephant bellow and a car on swerving on wet pavement. It was created by combining the hum of an old television and the buzz of a film projector’s motor. Out of the whole franchise, it has the most, so that it appears the object is moving independently. I guess that means it had the most light saber duels? In fact, it has more than the first two prequels combined, with 2,200 digital effect shots, compared to A New Hope that had only 350. Even though it debuted in 1977, it wasn’t until 1982 that you could rent the film, and even later until you could own it. Yep, seven different home entertainment formats: VHS, Betamax, Laser Disc, V2000, DVD, digital and Blu-Ray. That’s right, Dennis Muren says he would create it. So it’s seven formats right now, but hopefully at least eight in the future. Well, kind of. The Xbox 360 was redesigned to look like R2D2 to launch Kinect Star Wars. No, seriously. And he selfies. But Dolby owes George Lucas a huge thank you for popularizing it anyways. Technically it was first released in Barbara Streisand’s A Star Is Born.